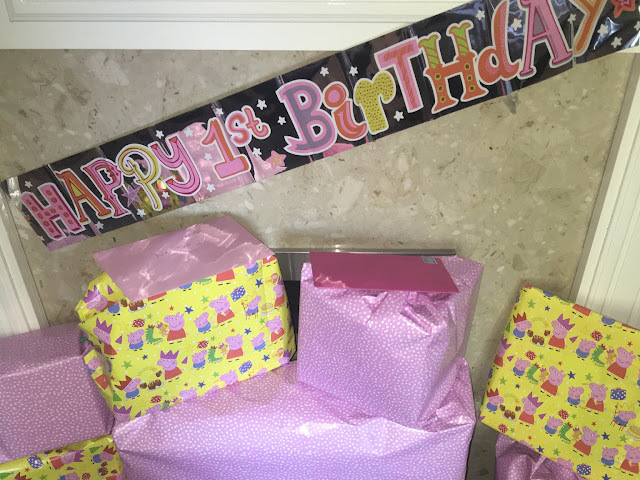 I thought I would share with you my babies first gift guide , and hopefully give you some inspiration for your little ones first birthday or perhaps your stuck and don’t know what to buy your niece or nephew or your friends little munchkin. Xylelophones at this age are always a hit aren’t they. They help little ones hand and eye co ordination and also they learn how to copy what you are doing . Nila has been loving her Jemima puddle duck one from born gifted, and has been using it non stop. It retails at £14.99 and has been a big hit. I am sure every little one has stacking blocks in their toy collection don’t they?, we opted for these cute very hungry caterpillar themed baby blocks, £16.99. They are made from tough but light paperboard which makes it easy for your little munchkin to stack without cracking theirselve over the head with a block. Nila is so clumsy and I know this would of been the case , but with these ones, we are accident free :). Pull along toys are great for encouraging crawling or even walking . This little cute hard working ant toy From brio is an absolute bargain. Retails at £19.99. He has an egg on his back that rolls when he is pulled along . All my girls have their own towels . I think they enjoy having their own to use , especially if we go swimming or take a trip to the beach. Baby and more have these gorgeous Animal kiddie towels. They are 100% cotton velvour towelling, perfect for little ones skin. They are available in 3 designs- Cerise cat, Teal dog or Grey Racoon and they are £25. 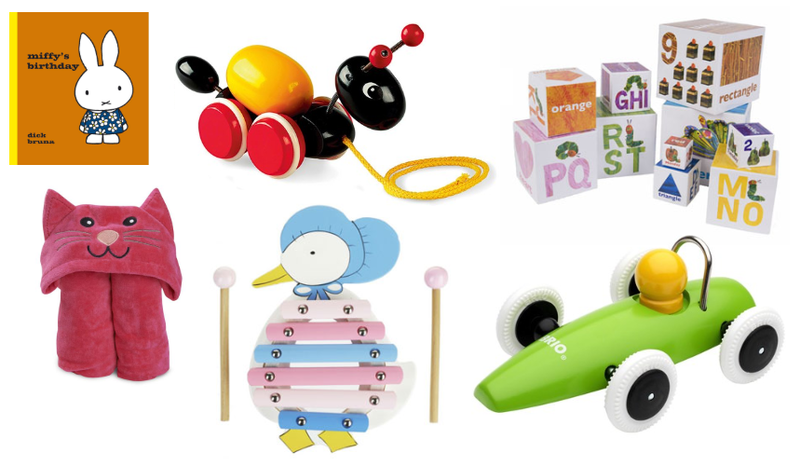 These are all lovely and I really love wooden toys, they're so much nice than all the plastic crap we mostly end up with!! I am a big fan of wooden toys and they make the perfect gifts for younger children. I love the xylophone! Lovely ideas. A first birthday is always special and I love wooden toys too.